MRS. MEYERS 총 15개의 상품이 있습니다. 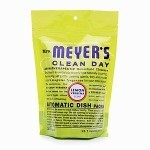 [해외] 미세스 메이어스 클린데이 화장실 변기 클리너 Mrs. Meyers Clean Day Toilet Bowl Cleaner - 32 fl oz. 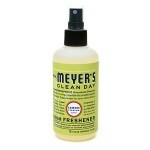 [해외] 미세스 메이어스 클린데이 다용도 클리너 Mrs. Meyers Clean Day All Purpose Cleaner 32fl oz.